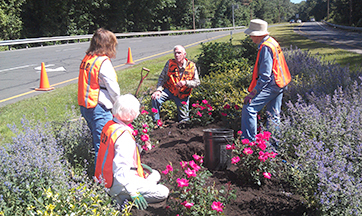 A few of the dedicated Median Gardens volunteers learned the best way to plant roses from GPIP member Bruce Lester, a master gardener. Bruce also volunteers at Elizabeth Park’s famous rose garden. 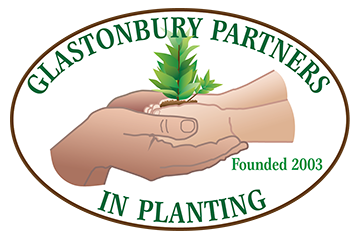 GPIP is always looking for ways to educate our members about the care of plants and to promote an understanding of the value of biodiversity among flora. 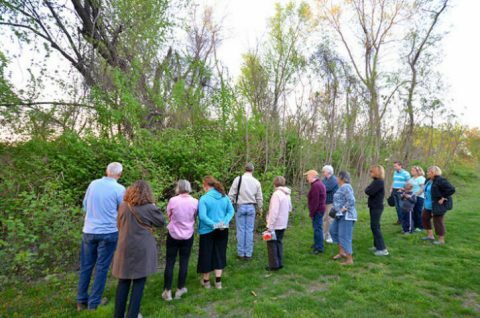 In May 2014, GPIP partnered with the Adult & Continuing Education department to offer a course: Beware the Beast in Your Backyard to help our community recognize and control invasive plants such as Oriental Bittersweet, Japanese Knotweed, Garlic Mustard, Burning Bush, Multiflora Rose and more. Information on native plants was also included. 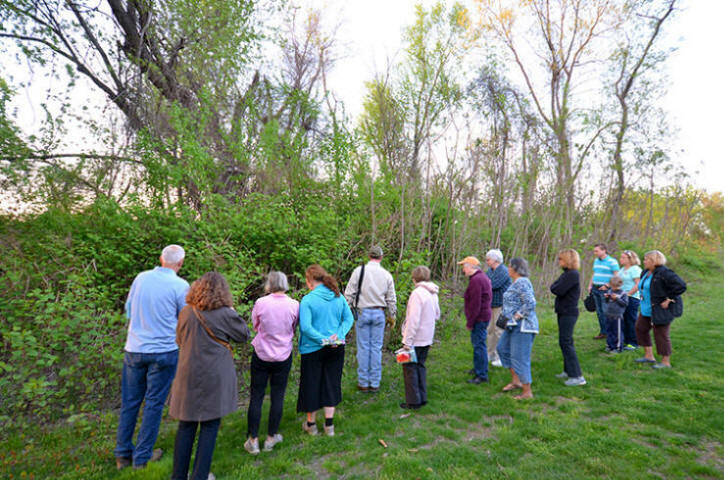 It was a 2-night course: a classroom meeting plus an outdoor class at Riverfront Park for a Plant Walk to identify these aggressive plants. 15 people attended. 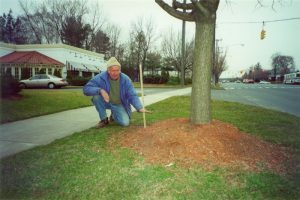 The course was taught by Michael Corcoran who is affiliated with the University of Connecticut’s College of Agriculture and Natural Resources Coverts Project and the Connecticut Audubon Society.